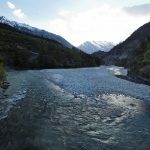 Barkot, with its fascinating natural grandeur and pleasing calmness, acts as a perfect stopover on Char dham pilgrimage or do dham yatra to Yamunotri and Gangotri. 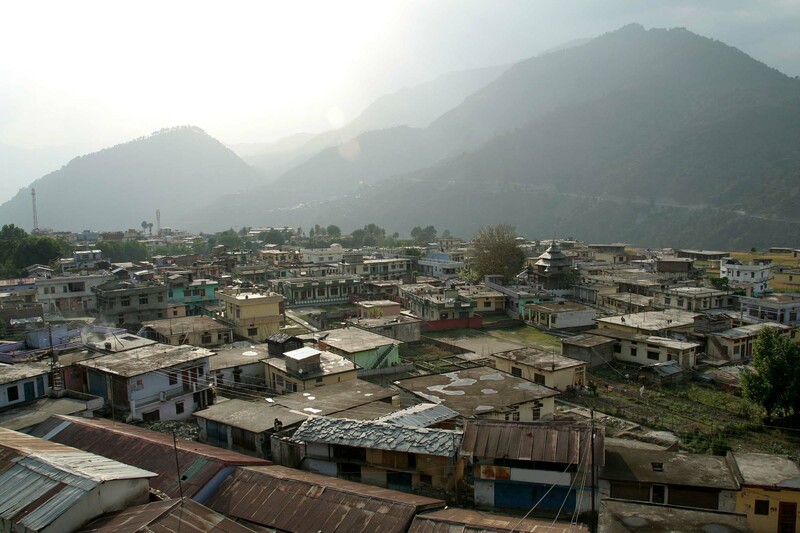 The hill town is located at an elevation of about 1,220 m. in Uttarkashi District, away from extreme urbanization and close to the mesmerizing landscapes. Resting on the bank of River Yamuna, Barkot precisely represents the ecstasy of being at Devbhoomi Uttarakhand. Pilgrims: The distance from Barkot to Yamunotri, which is one of the four destinations of chardham tours, is just 49 km. A huge number of pilgrims on their way to Yamunotri Temple prefer to book hotels in Barkot which acts as a gateway to many other religious sites of the region. Adventurers: The place is a trekkers’ paradise for being the base of numerous trekking routes. Har ki Doon trek, for example, is immensely popular among those who wish to explore the most astounding facets of Mother Nature. Nature-lovers: The place boasts of heavenly natural beauty and charm that attracts honeymoon couples, family tourists and nature admirers. It acts as a vintage point to savour the incredible beauty of Himalayan peaks. Another highlight of the place is the abundance of apple orchards that add irresistible charm to the place. Stunning landscapes at every angle can keep one fully engrossed in the hypnotic environment. During winters, Barkot is covered seemingly with sheet of snow, thereby transforming into an exquisite place for holidaying. Summer months (April-June) promise pleasant weather . You can easily indulge in nature walking and sightseeing during the season. Monsoons (July-September) brings moderate to heavy rainfall, adding exquisite greenery to the natural beauty of the place. Winters (October-March) are extremely chilly, especially in January, with Barkot temperature dropping to 4 degree Celsius in Barkot. The best time to visit Barkot is during summers and monsoons. However, you must be wary of the weather conditions during monsoons as there are possibilities of floods and landslides. Barkot is nearly 368 km. from Delhi, the national capital. Public transport buses connect the two places via a number of mid-way destinations. Haridwar, Rishikesh, Chamba and New Tehri are some of the places on the route, each being a wonderful tourist resort in itself. When planning a long holiday trip to Barkot, you can take help from private tour operators to arrange for tempos, buses, cars and taxis depending on your group size. 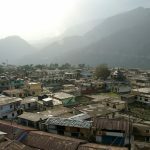 It is worth mentioning that Yamunotri Temple is usually the first destination of the char dham pilgrimage circuit and Barkot is among the most suitable places to stay near Yamunotri. Advance booking of hotel rooms at any of these places can be done easily. Barkot is not directly accessible by rail or air. So, road travel is the most advisable. By Road: Barkot can also be visited as a part of chardham yatra from Haridwar, Rishikesh, Dehradun or any other city in Uttarakhand. By Air: Jolly Grant Airport at Dehradun is the nearest airport (151 km. away). By Road: Take a train to Rishikesh railway station (166 km. away), Haidwar Junction (177 km. away) or Dehradun Railways Station (126 km.) and continue the trip further by road. Air and rail tickets and subsequent road transportation facilities can be booked with the help of private tour companies. The first route to Barkot has less traffic, while the second route allows you to spend some time at the hill station of Mussoorie and the scenic Kempty Waterfalls. You may also plan to reach Haridwar by train/road and then follow the route to Rishikesh to Dehradun to Barkot. However, this route to Barkot is busy with frequent traffic jams. This is due to Haridwar and Rishikesh being the popular tourist destinations, inviting huge numbers of tourists. Laxmi Narayan Temple: Dedicated to Lord Vishnu and his consort Goddess Laxmi, this temple is among the top Barkot attractions and is believed to have been built by the Pandavas. Adi Shankracharaya also installed a number of idols in the temple. Yamunotri Temple (44 km. by road and 6.5 km. trek): The temple is dedicated to Goddess Yamuna and marks the origin of River Yamuna which takes the route further through Barkot. Natural hot water springs like Surya Kund and Gauri Kund are the highlights of this place. Hanuman Chatti (37 km.) and Janki Chatti (45 km. ): Two destinations on the trek towards Yamunotri Temple, Hanuman Chatti and Janki Chatti are known for their natural springs and bounties of nature. Mori (61 km. ): Located on the bank of River Tons, Mori is an adventurers’ delight for offering thrilling water sport adventures like water rafting. The place also boasts of pine forests, river creeks and riverside camping, enough to invigorate the visitors. Chakrata (116 km. ): Dominated by red rhododendrons, oaks and conifers, Chakrata is a cantonment area, well-regarded for accommodating many popular temples like Mahasu Devta Temple and an array of natural caves. The nearby town of Mundali is coming up as a skiing resort for the adventurers. The place also has beautiful alpine meadows to its credit. Uttarkashi (80 km. ): One of the many holy towns on char dham trip, Uttarkashi is located on the bank of sacred River Bhagirathi and has an ensemble of temples (including the famous Lord Vishwanath Temple) and ashrams. Home to Nehru Institute of Mountaineering, Uttarkashi is among the top places of Uttarakhand to enjoy trekking, mountaineering and white water rafting. New Tehri (144 km. ): Known for pleasant weather throughout the year, New Tehri is home to Asia’s largest manmade lake at Tehri Dam. The place also acts as the base for trekking routes to a number of pristine lakes like Mahasar Taal and Sehstra Taal. Other Destinations: Barkot has many alpine bugyals (meadows or grasslands) nearby, the most popular one being Dayara Bugyal. Trekking opportunities to Dodi Taal and Har ki Doon Valley can also be enjoyed from Barkot. Govind Wildlife Sanctuary, the habitat to endangered snow leopard and many other wildlife species, is also located near to Barkot. About 25 km. before Barkot, there is a temple complex with many interesting and strange legends to its credit. Lakhamandal, which means one lakh Shiva Lingams, boasts of many lingams in small, medium and large sizes. It is believed that the place was built by the Pandavas during the time of Mahabharata. An interesting story about the place is that if a dead body is placed in front of the temple and holy water is sprinkled on it, it comes back to life for few moments. Another strange phenomenon is about a Shiva Lingam in which you can see your face after pouring water on it. Make sure you include this amazing place during the trip to Barkot. Admire the Nature: Barkot offers stunning views of Bandarpunch and other snow-capped Himalayan peaks. It is a memorable experience to enjoy this visual treat while taking leisurely strolls. There are many vantage points to enjoy sunset scenes and outstanding natural panorama. Bird-watching is also among the top things to do in Barkot. Camping: There are many camps in and around Barkot, especially those set up on the bank of River Yamuna. You can enjoy staying in these camps close to the nature and feel the thrill. Camp Nirvana and Camp Veda are two of the most popular ones. Rafting: Barkot to Lakhmandal is a popular rafting stretch on River Yamuna. Another option near Barkot is the rafting stretch from Damta to Yamuna Bridge. Trekking: Barkot is a convenient option to start the exhilarating treks to the Yamunotri Temple as well as other popular attractions like Darwa Top and Dodi Tal. Alpine meadows, high-altitude lakes and limitless magnificence of nature greet the trekkers visiting Barkot. The top Barkot hotels include Hotel Samrat, Hotel Rig Veda, Hotel Riya Residency, Hotel Chauhan, Hotel Devbhoomi and Hotel Durga Resort. In addition, there are camps like Camp Veda and Camp Nirvana that offer comfortable accommodations in the form of tents and cottages. If you plan to visit in the peak season (especially during Char Dham yatra months), make sure that you book accommodation in advance. Barkot meets the standards of pilgrims as well as foreign tourists who have started visiting the place in large numbers. It can be your best bet to take a break from monotonous living. Read all about Harsil Uttarakhand and plan your journey to next destination i.e. Gangotri.